The idea of decorating our gardens with things like birdbaths, glass dragonfly’s, and ceramic caterpillars had been around for a while now. You see a lot of typical store bought garden decor that is less than impressive, and if we are being completely honest, boring. 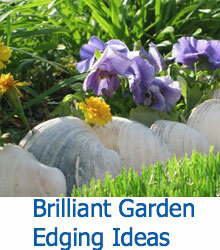 Now, the last thing you need is for your garden to be boring and outdated! A garden should be fresh and full of life! 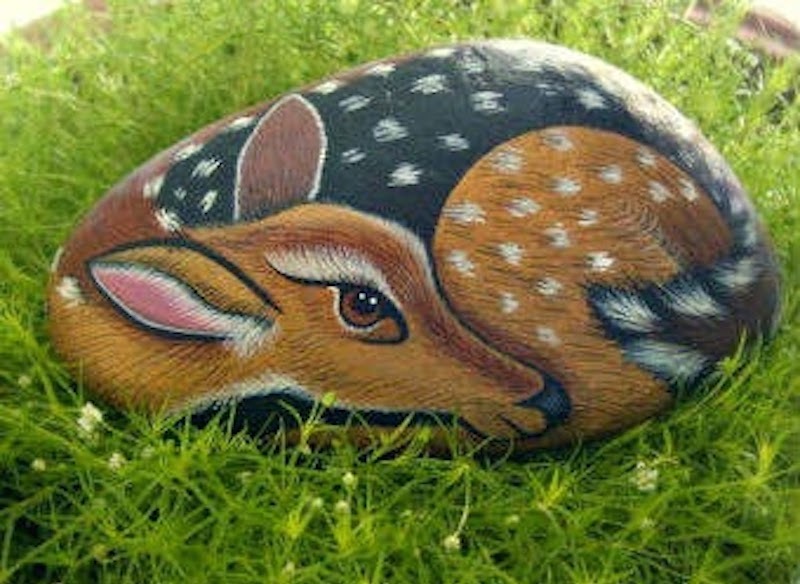 Which is why we have put together this list of creative painted rock designs for your garden art arsenal. 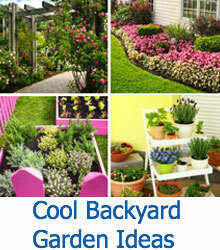 This may be one of the least expensive and most resourceful garden art ideas that you will ever come across. As long as you have the paints, and the imagination to create something, you can turn any ordinary rock into an awesome garden accessory. Take a look through these 10 different examples of paintings people have done in the past, and find some inspiration to create a similar or completely original design! 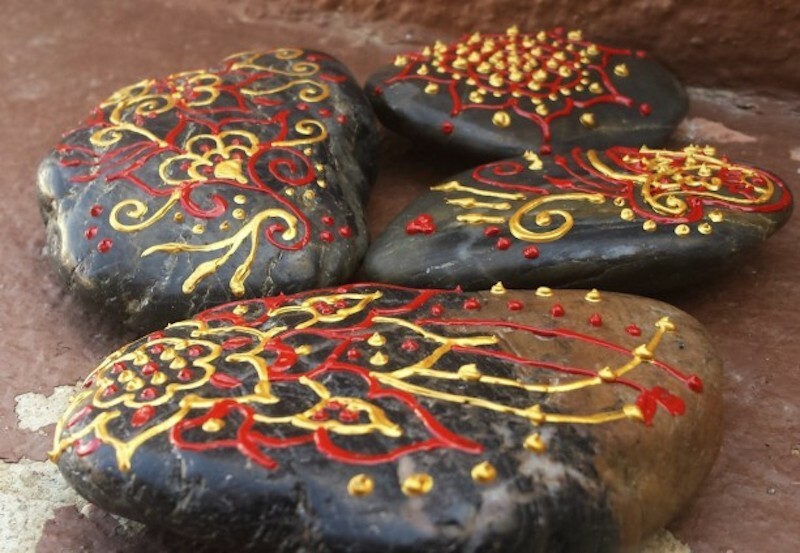 These henna style painted rocks have an eastern and somewhat exotic look. The raised paint give the rocks extra texture and also help to catch your eye. 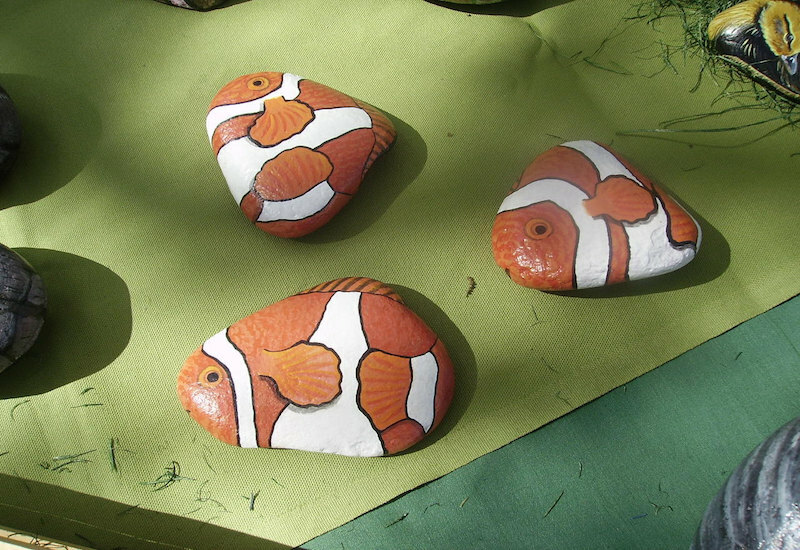 These painted rocks closely resemble clown fish! Kids will love them and they go great in small garden ponds, bird baths, or simply spread out among the flowers. The word “adorable” does not do these gnome homes justice. 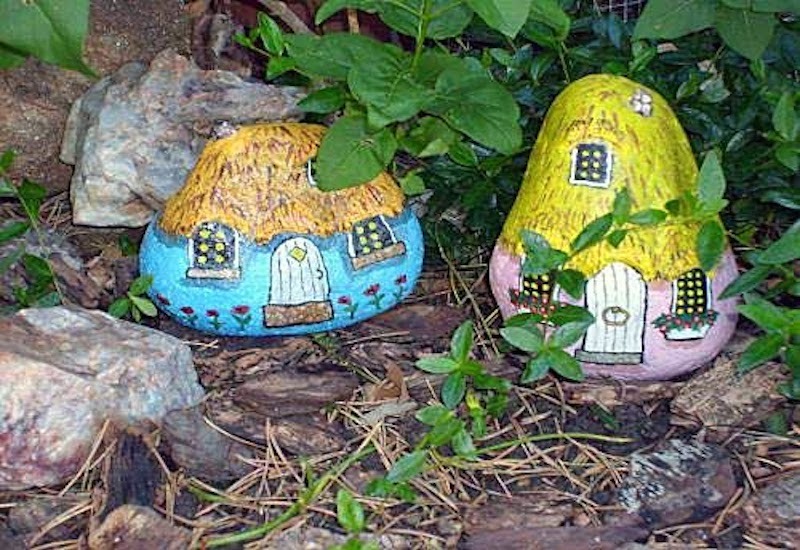 Pair these creative painted rocks with a set of gnomes, or let them stand alone throughout your garden. 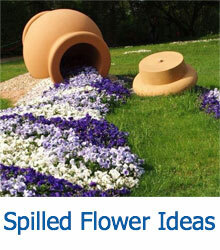 Sick of having your flowers wilt and die? Well here is one solution! These “flowers” will last forever and you never even have to water them! Always keep a set of eyes on your garden with this painted cat design. This is a perfect decoration for a windowsill or even on the edge of a deck or patio. 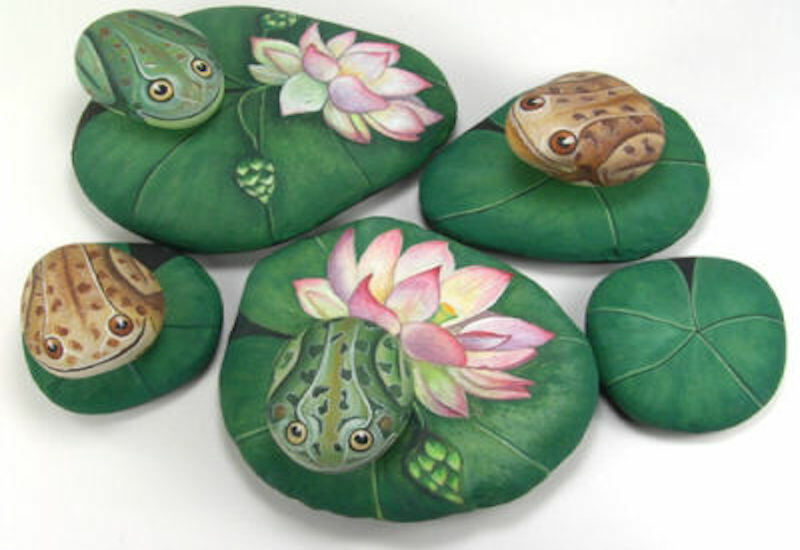 A creative idea for a shallow pond or birdbath, use small circular rocks to create frogs sitting atop lily pads. Either set them in water or on dry ground for a decorative accent to your garden. 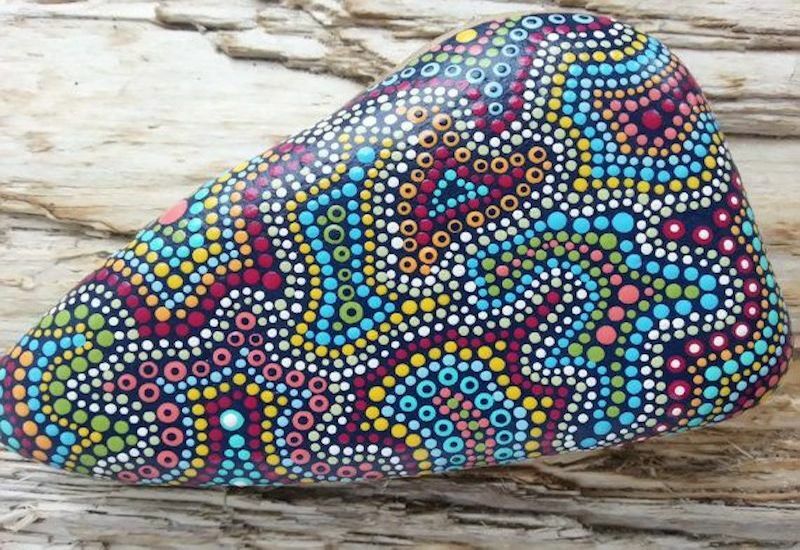 A fully painted rock, this design is vibrant and a real eye-catcher. 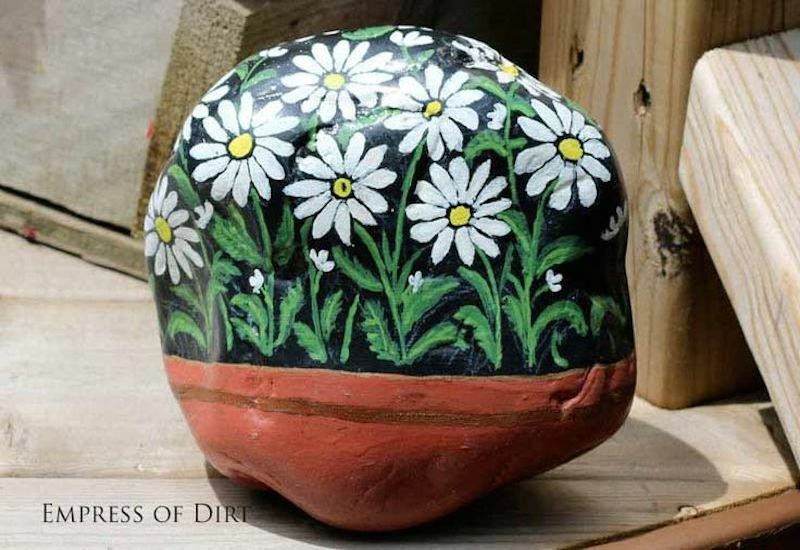 Use polka dots or other kinds of painted designs to make the rock visually pop out of your garden. 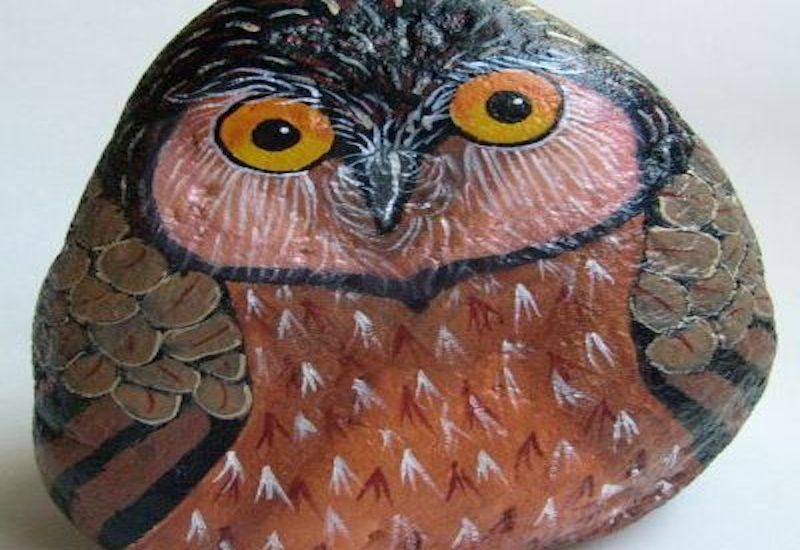 A design that would work well in a tree, on a windowsill, or even on the ground among your plants, this painted owl rock is a creative and fun way to add flair to wherever it may be lacking. An absolutely charming painting, this resting fawn design is sure to draw a second glance. 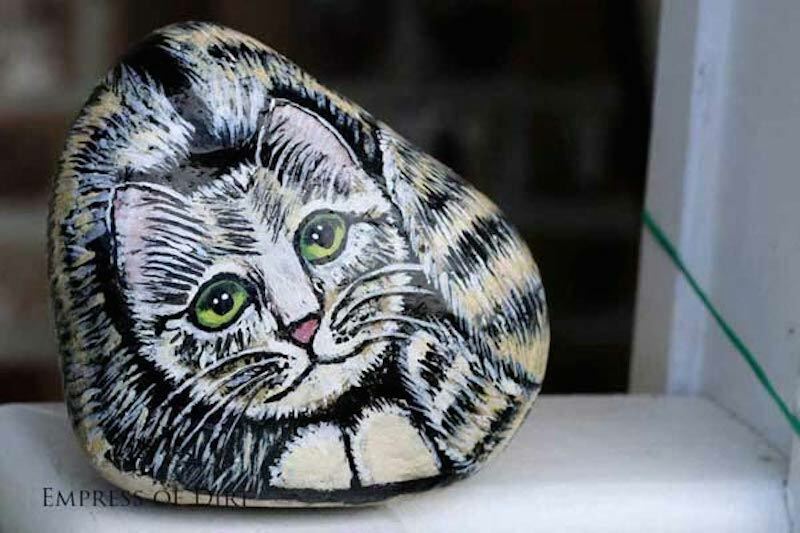 Place this rock anywhere in your lawn or garden to create a peaceful scene. 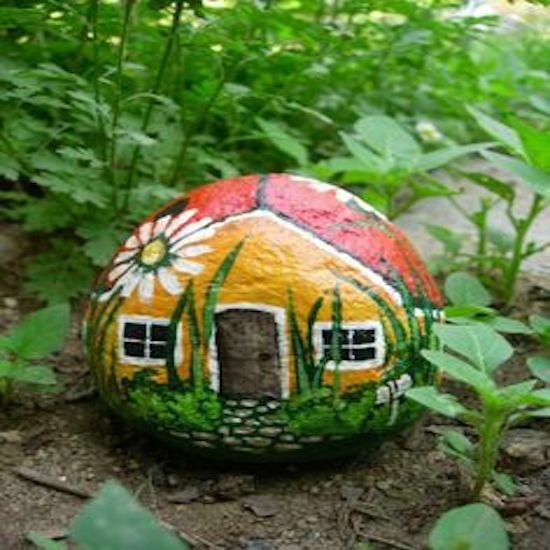 A lonely home for a lonely gnome, this painted rock design seems to blend right in with the garden around it! This idea is the perfect partner for any garden gnome decorations.